▼ I want to make a claim regarding my garage door / gate. Get in touch with your installer in the first instance. 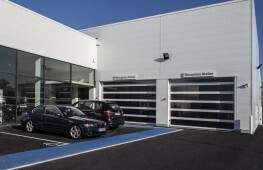 Installers are in direct contact with La Toulousaine’s commercial and technical staff, and they are your preferred intermediaries for the after sales service. ▼ What are the guarantees for La Toulousaine’s products? ▼ Where can I find an installer? Simply fill in the my project form and follow the instructions. ▼ Where can I find an installer to repair my equipment? Simply fill in the repair form and follow the instructions. ▼ Are the prices set by La Toulousaine? The prices are set independently by installers. 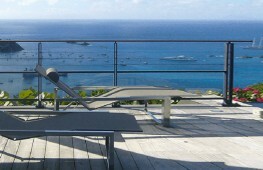 There is no commercial contract between the recommended installers / professionals and La Toulousaine. ▼ Can I order a remote control or a spare part directly at La Toulousaine? La Toulousaine markets our products through a network of installers, specialists of our products. You can contact your installer or fill out the form Need help. We will put you in touch with the recommended professional closest to your home. ▼ What are the guarantees for La Toulousaine’s gates and fencing? 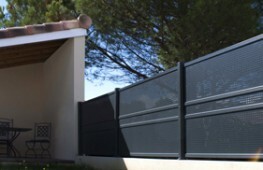 All La Toulousaine’s gates and fencing are guaranteed for ten years. To see the terms and conditions, please click on Aluminium Gates and Fencing. ▼ Where can I find the ID number for my gate? Sliding gates: the label can be found at the bottom of the gate when looking from the inside. Hinged gates: the label can be found at the bottom of the master leaf when looking from the inside. ▼ How can I manually open my hinged gate (powered by an LT 100 motor) if there is an electrical failure? 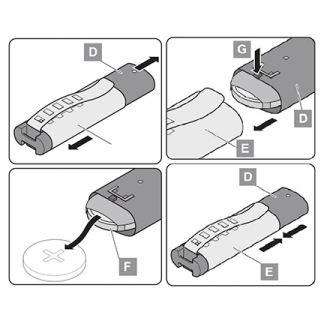 Insert the release key that came with the equipment, and turn it fully anti-clockwise (as shown in the diagram). To lock it, do the same in reverse. 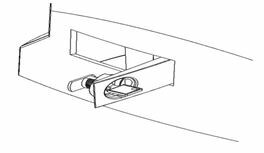 ▼ How can I manually open my hinged gate (powered by an invisible IM5000 automatic opening mechanism) if there is an electrical failure? 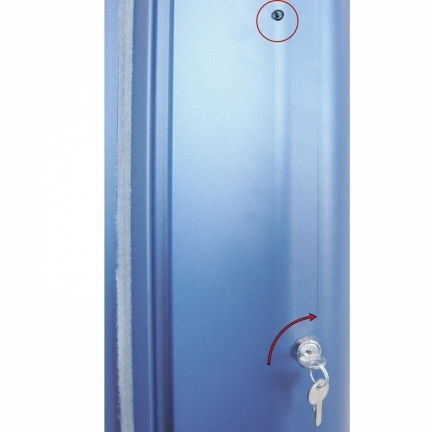 Access the unlocking mechanism by opening the hatch with the key. Half turn the hex key that came with the equipment anti-clockwise as far as it will go. Do not forget to close the hatch once the mechanism has been unlocked. To engage the mechanism, do the same in reverse. 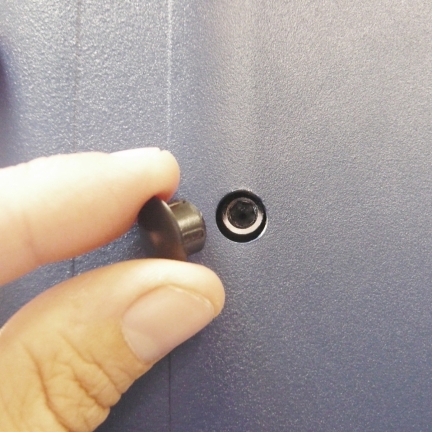 Remove the cover so you can access the unlocking mechanism. Half turn the hex key that came with the equipment clockwise as far as it will go. Remember to put the cover back on. 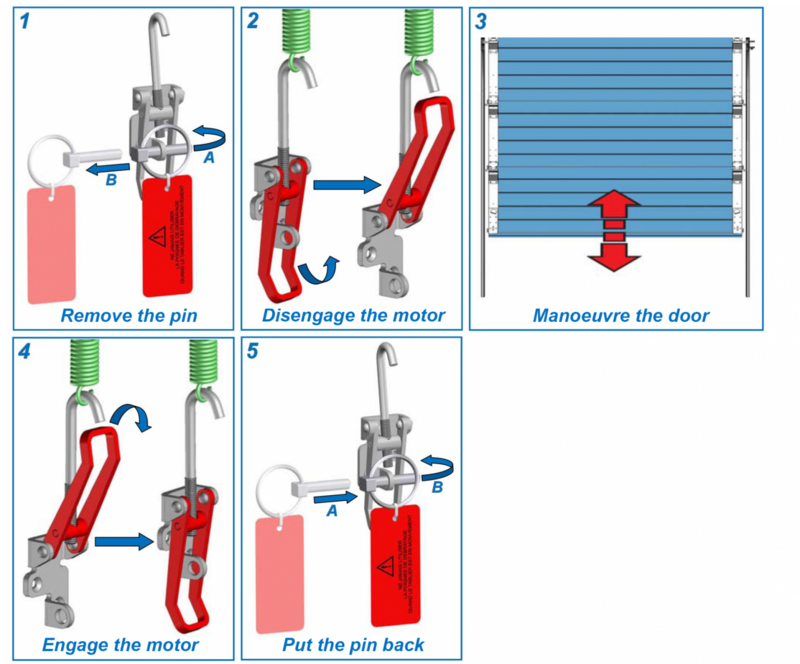 ▼ How can I manually open my sliding gate (powered by a 200c LT motor) if there is an electrical failure? 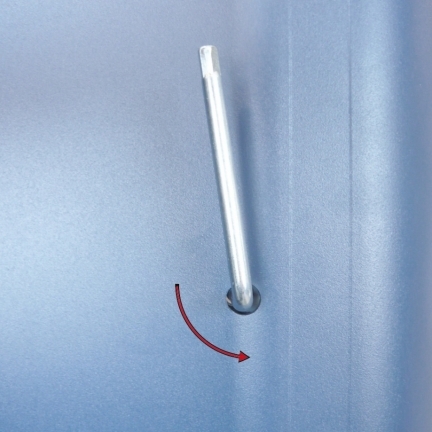 Pull the handle towards you until it is at right angles to the motor. ▼ My gate doesn’t operate when I press on my remote control. Check is the motor is power supplied. If not, call an electrician. If the gate is properly power supplied, call your installer first or fill out the repair form. We will put you in touch with the recommended professional closest to you. ▼ My gate doesn’t close when I press my remote control. Check that no objects are in front of the photocells. Check that photocells are working properly : put your hands in front photocells, you should hear “clicks” on the receiving cell. 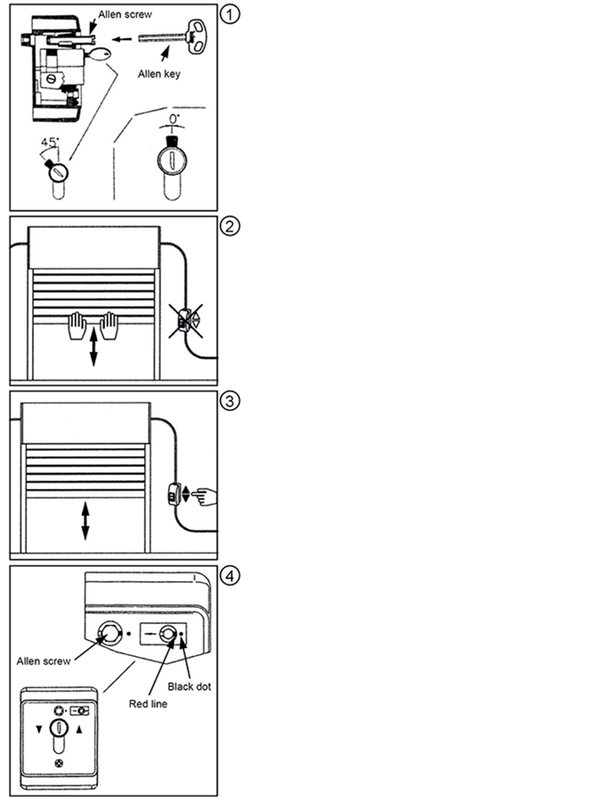 If you don’t hear “clicks”, call your installer first or fill out the repair form. We will put you in touch with the recommended professional closest to you. ▼ Which products can I use to clean my gate? You can use a soap and water solution followed by a careful rinsing with clean water. Caution : Don’t use abrasive products !! Clean your gate regularly with clear water. Detergent using can degrade the color or gloss of the coating. ▼ What are the guarantees for La Toulousaine’s garage doors? Since April 24, 2015, all La Toulousaine’s garage doors are guaranteed for five years. For the terms and conditions, please click on garage doors. ▼ Where can I find the ID number for my garage door? The ID number can be found on the CE label. It is a seven-digit number that begins with the year of manufacture. The label can be found on the lower panel on the inside of the door. ▼ I cannot open my garage door with my remote control. Check the batteries in your remote. Make sure that the motor has a power supply. Check that the motor is properly engaged. If, after you have performed these three checks, your remote control still does not work, contact your installer or fill in our form so we can put you in touch with the nearest installer. In the meantime, you can operate the door manually (see the next question: How can I disengage my TD motor?). 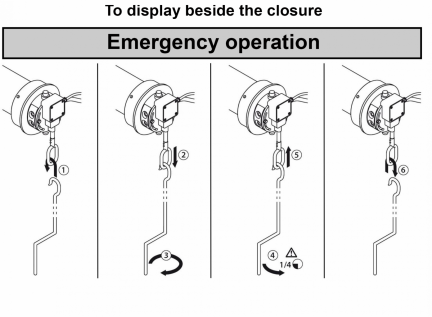 ▼ How can I manually open my garage door (powered by a TD motor) if there is an electrical failure? Pull once on the release lever. ▼ How can I change my remote control battery? 1. Remove the sliding part (D). 2. Remove the battery (F) and put a new battery in the same location. Be sure to respect the polarity (+/-) ! 3. Put the sliding part (D) in the stainless steel sheath (E) while pushing (G) down. 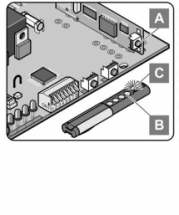 Before reassembly, press a key (B), the DEL (C) should light up – otherwise the battery has been installed in the wrong direction. ▼ I have lost a remote control, how to delete it on the TD500 motor? If a transmitter is lost, and due to security purposes, delete all channels on the radio receiver. 1. Press the receiver button and maintain pressure. 2. Within 5 seconds, the LED flashes and then lights up steadily. 3. After 25 seconds ; all the LEDs light up steady. 4. Release the receiver button, the erase procedure is completed. ▼ How to program my remote control on a TD500 motor? 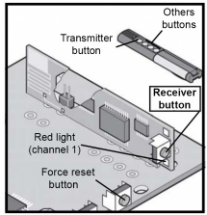 Press the receiver button once, so that the red LED on channel 1 lights up. Press continuously the transmitter button that you want to use: the red LED flashes and the goes off. Release the transmitter button: the coding is completed. ⚠ Don’t mistake between receiver button and the force reset button. 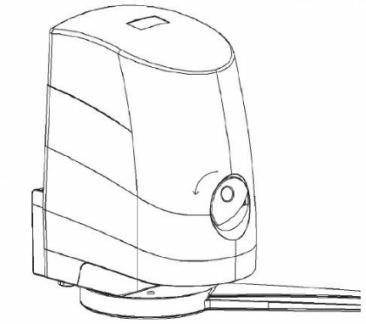 ▼ I want to use my garage door remote control to open my sliding or swinging gate, how can I do? 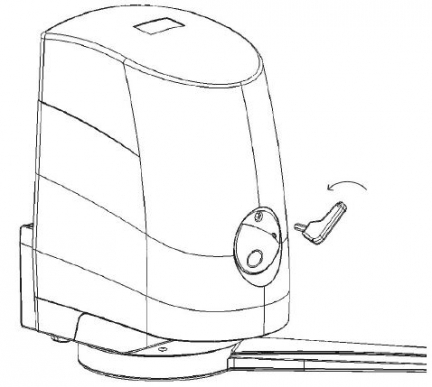 It’s possible but you must add a compatible receiver on the gate motorization. First contact your installer or fill out the repair form. We will put you in touch with the recommended professional closest to you. ▼ Which products can I use to clean my garage door? Clean your door regularly with clean water. Using detergent can damage the color or gloss of the coating. ⚠ Caution: don’t use abrasive products !!! ▼ What are the guarantees for La Toulousaine’s grilles and shutters? 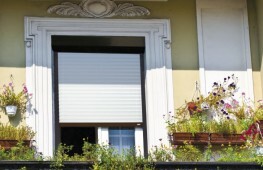 La Toulousaine’s grilles and shutters come with a guarantee. For the terms and conditions, please click on metal shutters and grilles. 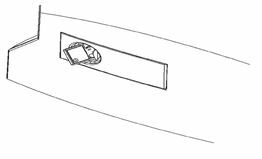 ▼ Where can I find the ID number for my metal shutter or grille? The label can be found on the end slat on the inside of the shutter or grille. ▼ My shutter no longer works electronically. If the problem persists, contact your installer or fill in this form so we can put you in touch with one of our recommended professionals. 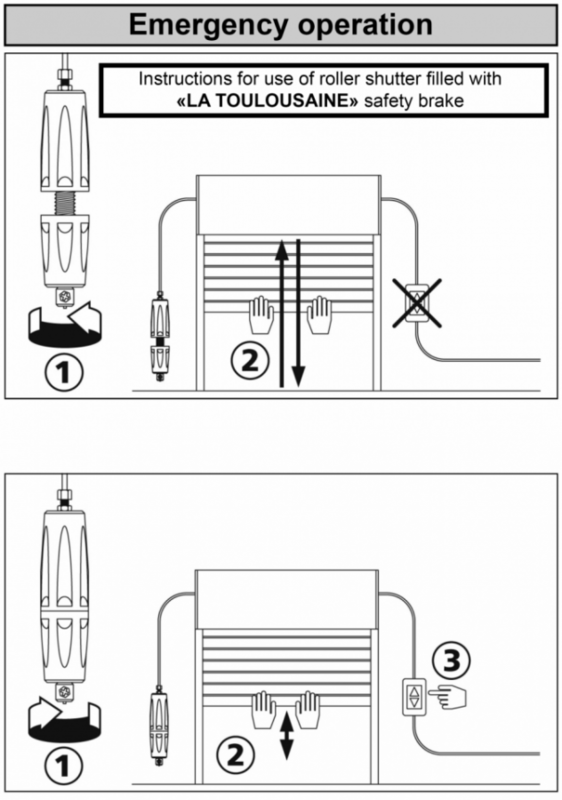 In the case of a central motor and if you have a release key box, proceed to a manual release of the motor by following the instructions below. Otherwise, please contact your installer for troubleshooting. Raise the roller shutter a few centimeters (stopfall will unblock). Then lower again the roller shutter at low speed. 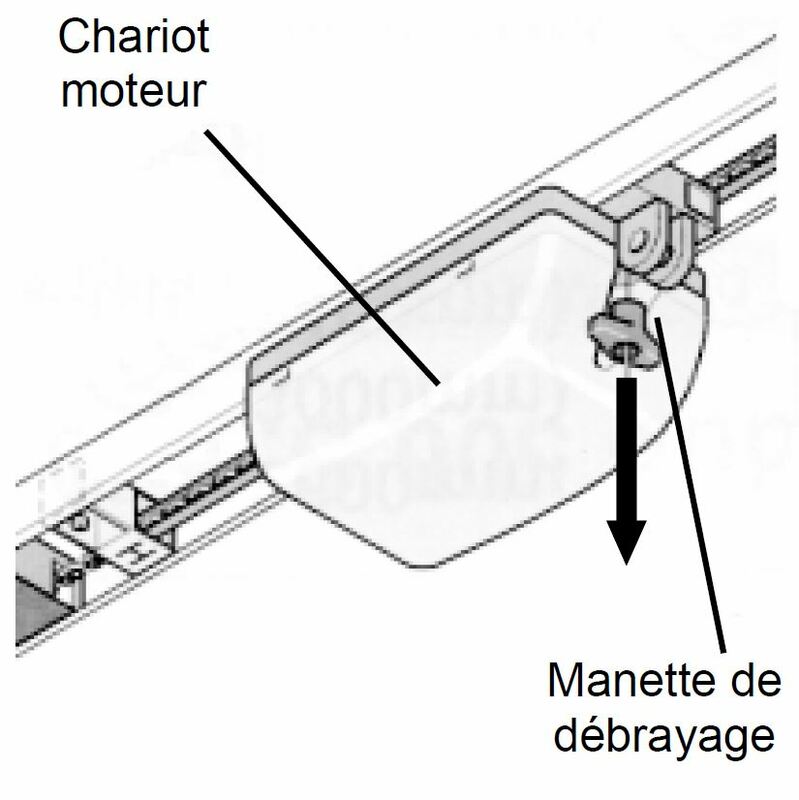 ▼ How to release my roller shutter in case of power failure? Raise the roller shutter 10 cm (stopfall is the released). Then bring it back down at low speed. ▼ A spring is broken in my spring loaded axle, what can I do? A complete spring loaded axle replacement will be required. It’s not possible to change just a spring. Contact your installer or fill out the repair form. We will put you in touch with the recommended professional closest to the place where you are. 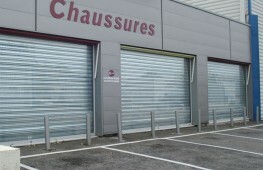 ▼ What are the guarantees for La Toulousaine’s industrial sectional doors? All La Toulousaine’s industrial sectional doors come with a guarantee. For the terms and conditions, please click on industrial sectional doors. ▼ Where can I find the ID number for my industrial sectional door? ▼ How to disengage my motor and use my door manually? The green light on the On/Off button is off. If the indicator is on, press On/Off to turn off the box. 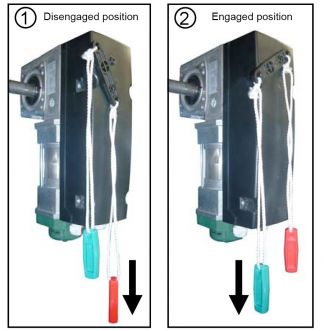 If the 4th operation presents a resistance, move the curtain to facilitate the engagement of the motor. ⚠ Never engage the motor if it’s running. 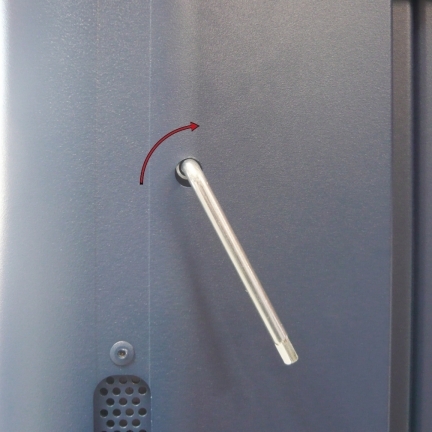 You can then operate the door manually.